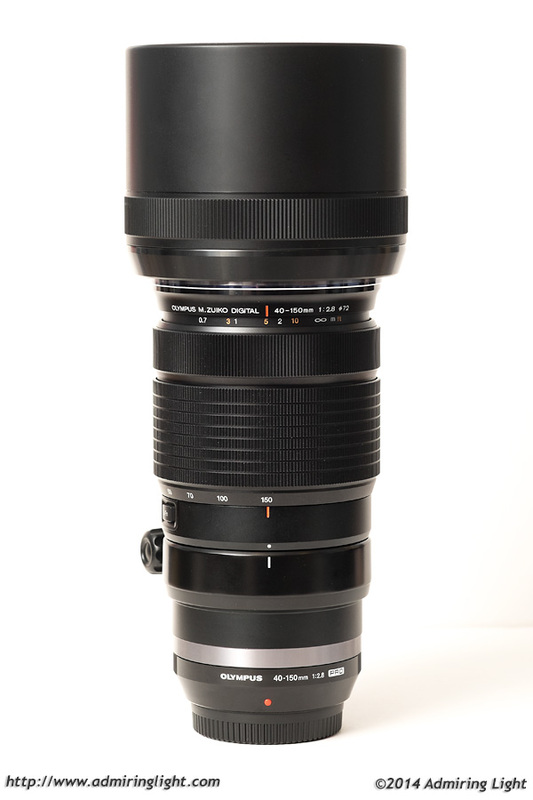 2014 is shaping up to be the year of the professional grade telephoto zoom lens. Sony started off the year with their full frame 70-200mm f/4 for E-mount, and Olympus, Fuji and Samsung all announced new f/2.8 zooms at Photokina this year. Today we’re looking at Olympus’ brand new M.Zuiko 40-150mm f/2.8 Pro lens, which is the only one of the new lenses to go longer than the typical 200mm equivalent. The 40-150mm f/2.8 has a field of view similar to an 80-300mm lens on full frame, with a constant f/2.8 aperture and a professional grade build with weathersealing. This is the second f/2.8 telephoto lens for the Micro 4/3 system, after Panasonic released their excellent 35-100mm f/2.8 a few years back. Olympus is really focusing on high-grade optics with their PRO line, and expectations are high for this lens. The lens retails for $1,499, but given the range, speed and build quality, that price point isn’t unreasonable, given that the lens performs to expectations. Let’s see if it does. 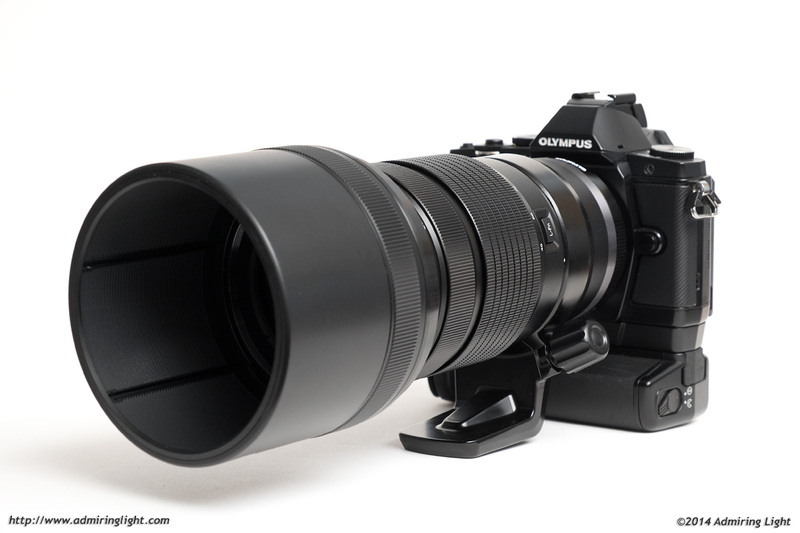 The Olympus 40-150mm f/2.8 PRO on the Olympus OM-D E-M5 with vertical grip. If you’re not familiar with my reviews, I review from a real world shooting perspective. You won’t find lens charts or resolution numbers here. There are plenty of other sites that cover those. I review products on how they act for me as a photographic tool in real-world shooting. 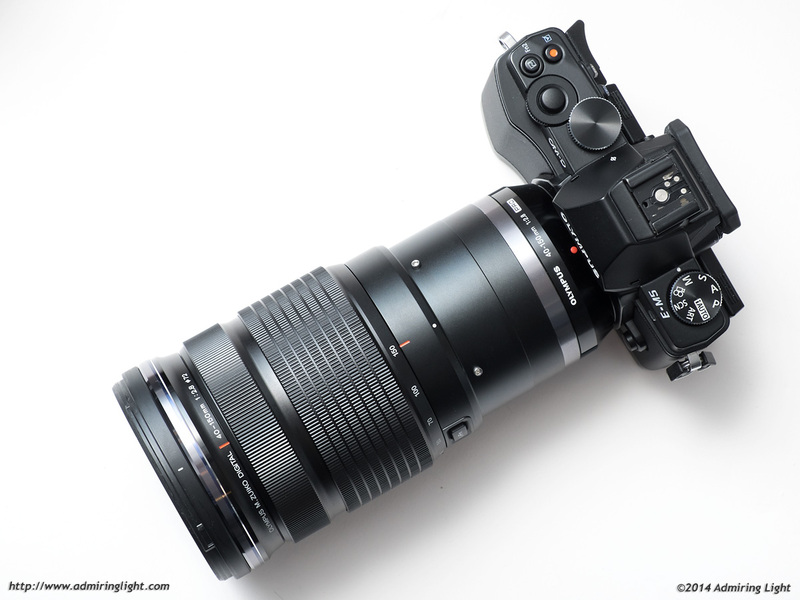 As you’d expect from an f/2.8 telephoto zoom, the 40-150mm f/2.8 PRO is not a small lens. Well, it’s not a small lens for the Micro 4/3 system, anyway. While the 40-150mm is compact in comparison to full frame 70-200mm lenses, compared to the other lenses in the Micro 4/3 system, it’s a monster. This is not a discreet lens that fits in a tiny bag. It’s got some size and some heft, and you definitely feel the weight when you first pull it out. However, after walking around with it for a while, you do realize the benefits of the smaller Micro 4/3 system. Even with the battery grip as outfitted above, the camera and lens did not weigh me down while I was out shooting with it. I definitely recommend shooting with some sort of gripped camera, however, with either the accessory grip on an E-M5 or an Olympus E-M1. The lens will handle well on the larger Panasonic bodies as well, such as the GH3 or GH4, but given the lack of optical stabilization, you’ll want to use a camera with in-body IS if you can. The lens is extremely solidly constructed of high-grade metals on the tripod collar, lens barrel and mount, with top grade plastics for the hood, zoom and focus rings. The zoom ring is well damped and moves extremely smoothly. The lens is both internally focusing and zooming, so the overall length stays constant at any focal length. The focus ring utilizes a focus clutch mechanism to easily switch between autofocus and manual focus operations, much like the Olympus 12mm f/2 and the 17mm f/1.8. When the focus ring is forward, the lens will utilize autofocus, but the focus ring can still be turned for full-time manual focus adjustment and fine tuning after utilizing the autofocus motor. When the ring is pulled back, a distance scale is revealed and the lens switches to manual focus mode. There are hard stops at each end when the ring is pulled back, and while the feel is nice, it’s still a focus-by-wire system. Much like the 12mm f/2, though, manual focus with the ring pulled back is in discrete steps, and, especially at further focus distances, this makes achieving extremely precise focus during manual focusing somewhat more challenging. I’m not sure why the same fine focusing ability that is available in autofocus isn’t there in manual focus mode. 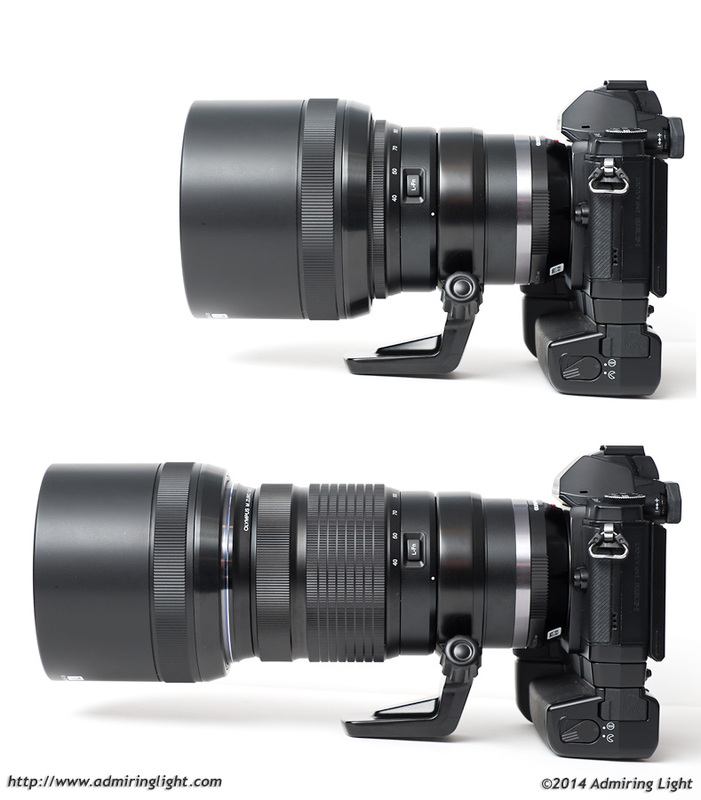 The 40-150mm’s tripod collar can be removed to minimize size. Being a relatively heavy and long lens, the 40-150mm comes with an included tripod collar. Like all collars, turning the knob on the foot will allow you to rotate the camera between horizontal and vertical orientations without adjusting your tripod. The collar turns smoothly and is well constructed. The collar can be removed from the lens by flipping the foot to the top of the lens and sliding it off the mount end. While this may be desirable in an effort to reduce overall size, I preferred to simply leave the collar on all the time. One nice feature of the 40-150mm f/2.8 is the included lens hood. After years of failing to include accessories like lens hoods with even their high-end lenses, it’s nice to see Olympus has reversed the trend recently. Not only do you get the tripod collar in the package, but a very ingeniously designed lens hood is included as well. The hood clips on like any other bayonet-mount lens hood, but instead of reversing, the hood slides back and forth in a similar manner to that of the hood for the Olympus 60mm f/2.8 Macro. To extend the hood, you simply pull on it until it clicks into place. To retract the hood, a gentle twist on the spring-loaded ring around the outside of the hood will release the lock and allow you to slide the hood back into the compact position. This mechanism improves speed of operation and convenience, and it was really nice to use in practice. I have to say, though, with the hood retracted, the lens looks really fat. It is reminiscent of a shrunken version of a 200mm f/2.0 lens for full frame cameras. The lens also features a programmable function button that works with Olympus cameras. Any of the programmable functions of the camera can be programmed to the L-Fn button, giving some extra versatility when using the lens. The 40-150mm f/2.8 is billed as a pro lens, and as such, focus speed is important. For the most part, I found the 40-150mm f/2.8 to focus extremely quietly, quickly and accurately. In good light, focus was nearly instantaneous, and accuracy was outstanding. Unfortunately, I don’t own a Micro 4/3 body that has Phase-Detect AF capability, so I couldn’t really test continuous autofocus, but the focus speed is fast enough that I have no doubt it would perform as well or better than the other very fast focusing Micro 4/3 lenses. However, I did notice that in lower light, the lens had a lot more problems. While the lens did OK in most situations in dimmer light, there were plenty of times it went sort of crazy hunting. Because of the sheer speed of the focus motor, it hunts very quickly, but there is no doubt that, at least on the E-M5, it does have a tendency to hunt in some instances indoors and at night. One nice feature is the great close-focusing ability of the lens. With the broad focal range to 300mm equivalent and the close focusing distance of only 0.7m, the 40-150mm f/2.8 is capable of capturing subjects as small as about 3 inches across. While this is well out of macro territory, it is great for closeups of flowers or other small objects, as well as extremely tight portrait work. The flare isn’t surprising. A cursory look at lenstip.com reviews shows that most telephoto zooms do fairly poorly in this regard. And while the bokeh is a bit busy, it still looks like a vast improvment over the Olympus 50-200mm f/2.8-3.5. Thanks for this review, Jordan. I was hoping you would have compared the Oly to the Pany 35-100 at their overlapping range. From 40 to 100, how do they both compare? Mostly in terms of sharpness, bokeh, AF and flare? Unfortunately I don’t have the 35-100 any more, so I couldn’t do a head to head. In general terms, I think the Olympus is a bit sharper (though we’re splitting hairs here), especially at the longer end. Bokeh is pretty close…maybe a slight nod to the Panasonic. AF is very similar in speed, though I found the Panasonic a bit better in dimmer light. The Panny is way better in the flare department, and it’s a lot lighter and smaller. The range of the Olympus is really useful, though, so I think for most people it’s going to come down to size vs. reach when deciding between the two lenses. Both are stellar. Thanks for the comparison with the Pany. I agree, I think these lenses fulfill different need/purpose given how much they differ in terms of size. Do you plan on testing the Oly with the 1.4x converter as well? It could be a very interesting combo for wildlife for sure. For flare, it looks as though you have my Panasonic 35-100mm f/2.8. I’m constantly surprised at how bad it is, and how the repair facility stated that it was normal. I was shocked while using a pre-production Olympus 12-40mm f/2.8 at the same time as the Panasonic 35-100mm f/2.8. With lens hoods in use and the sun out of frame for the Panasonic, and the sun in frame for the Olympus, the Panasonic was horrible and the Olympus showed barely any problem. After 1.5 years with the 12-40mm f/2.8, I’ve found ways to record flare. I just wonder if the coatings are not applied consistently at factories producing any of these lenses. Yes, I did the firmware update the day after I got the lens. Jordan, good review. I am considering this lens for my OMD E 1 but I am also looking at the Olympus 75 mm lens. Have you had a chance to review that lens? It’s a tough decision. The reason I use micro four thirds is the size and weight advantage it seems this lens contradictes that assumption. Let ne know if you have ever looked at the 75 mm lens? All my reviews can be found by clicking on the Review Index in the main bar at the top of the page. You should also check the Robin Wong blog about the 40-150mm vs 75mm. 40-150mm is so close to 75mm that it is identical. I’ve got both and I’ll use them in very different ways – the 75mm is for the best low dof and for ultralight travelling (I cycle & motorcycle with that + the 12-40mm). I was expecting to say that I’d use the 75 for ultimate sharpness too, but my first test shots from the 40-150 are so far beyond anything I’ve seen from a zoom that I’m not so sure now. I never fail to be amazed by the amount of people who always find the need to comment on the size of a lens as if just because it’s Micro Four Thirds any lens longer than 50 mm should be built to ever diminishing dimensions and weight. If only this were possible, just think, the Micro Four Thirds system would be dead in its tracks as all those big heavy lenses used by the FF army would all be as small as the Oly 75mm prime and 12-40mm zoom, the only benefits left for Oly and Pana would be the smaller bodies in the system, as the gains from the telephoto end of lenses would be no more. The size is especially important for this lens just because you have a very comparable alternative. Panny 35-100 2.8 has mostly the same optics, speed and build (build is not as rugged but still good and weather sealed). What you need to consider is that if you want to sacrifice carrying a lens with 2 times the weight for 50% more reach. And this comes down to personal need. For my needs i very much prefer having a smaller lens. I realized I carry it with me more often. Even when I am not necessarily going out for photographic purposes. Excellent review. I would really like to see how this ones compares with Fuji 50-140 and Samsung 50-150. I hope to have the Fuji in for review sometime in the next week or so. The Samsung may be more challenging, but I really want to get a hold of the NX1, 16-50 and 50-150 for testing. Great review. i love your images how do you post process them? What are you doing? if Jpegs, what settings? I’m surprised that the click-back manual focus ring has the stepping issue of the 12mm f/2. I’d figured that Olympus had figured that out already with the 17mm. These kinds of steps backwards are disappointing, although this lens is too big for what I want to do anyway. I Am surprised that it didn’t make your “cons” list. If a person is trying to obtain light performance, and/or have the best bokeh, full frame is really the ONLY way to go (believe me, I have tried working against that fact, but it doesn’t work). For the same money as this lens, a person can just about buy a decent used full frame camera, AND a used 70-200 2.8. Now no, you won’t be getting the sharpest lens for that money, but you WILL be getting noticeably better low -light and bokeh performance than this Oly lens…and again, those are really the ONLY reasons to buy a 70-200 2.8 in the first place. Which FF body +70-200/2.8 can you get for $1500? Thanks for the review, but why couldn’t you post just one image at full resolution? Jordan thanks for the follow up about the 75mm lens I may have to put that on my forward purchase list going forward. Good review. -the ability to print gnormous prints with 2-stops less noise and somewhat better resolution. -high-speed, sequenced-images with decent, but not perfect C-AF(only Canon and Nikon, not Sony). -2-stops shallower DOF with better bokeh. 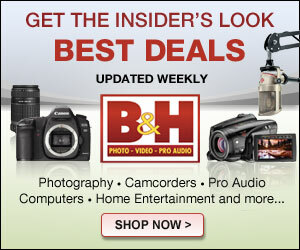 – a wider range of lenses. -After 30+ years of lugging heavy SLRs and DSLRs with their heavy lenses, my body cannot take any more. The OLY system is so lightweight, I am no longer arm, shoulder, neck sore. Though I cannot reverse the long term damage to my joints (arthritis) that my heavy equipment caused. Ask any experienced pro has his back and neck feels. -The built-in IS allows me to get pics my Canon bodies don’t. -The tilt screen allows me to get angles my Canon bodies didn’t. -Ultra-quick S-AF with a higher in-focus keeper rate. One advantage of the Contrast-Detect AF. -With a non-M43 system, you have to do the tiresome calibration of each lens to each body, otherwise shooting wide open may be off-focus. I had to do this calibration with my 200 f1.8L and my 135 f2L with each of my bodies. -the image sharpness and contrast of the OLY 75 f1.8 and 12-40 f2.8 easily matches or betters my 135f2L and 24-70L…at a fraction of the cost. -No more strains, sprains nor fatigue. Shooting is fun again. Can’t wait to get my hands on the 40-150 f2.8 and the 1.4X…the only thing that this high quality pro system was missing for most occasions. The upcoming 600 f4 will offer more possibilities. If you don’t need the shallow DOF and don’t print large, it is not problem using m43. I even know many photographers of our local newspapers using their IPhones only! Probably, you had the disadvantage to use gear during a less technically advanced area. Since today many cameras provide for small and capable packages. A D750 with primes gives you a very light weight option, which certainly won’t stress your joints dramatically (D750 + 20,50,85 1.8G). Use a 70-300 4-5.6 zoom in addition and you are fine (will give you similar DOF and even stabilisation + articulated screen to the new Oly at a fraction of the price). I use both FF + Oly, the Oly only when traveling far. What I get from FF is much better in my and my wifes opinion (fine tuning is not a problem anymore and works fine with all primes) in terms of noise, tonality and DOF control. The one thing I don’t like about m43 is the lens prices of the better quality lenses (75,42.5, 12-40 …), since our photography is about achieving shallow DOF. For those who can live without needing this, m43 is plenty. The new lens attracted me, but the bokeh is a little too harsh for me and when combining it with the TC you have a 400/F8 in terms of AOV, DOF. Subject separation is quite difficult if your bird is not far away from a distracting background. You’re correct. If the best bokeh and shallow DOF is what you want, the FF is best. I rarely need it. And kept my 200 f1.8L for those few occasions. YES, the best OLY lenses are not inexpensive…but they do cost less, almost half than similar quality Canon L lenses. As stated, the best OLY lenses are as good or better. You must try them to see this for yourself. No softness whatsoever…especially in the corners…a weakness of FF images shot wide-open. I did a UFC event this year with my 75 f1.8, I was 3.5 feet away from the octagon. My images were sharper than those of a buddy who was shooting with a 70-200 M2 f:2.8 with a 6D (FF). We both shot at 1/3200 sec. He couldn’t believe the detail on the fighters’ faces. I was shooting at f1.8, 800 ISO and S-AF. The AF is instantaneous. I used my 12-40 f2.8 only when fighters were close to the cage and as they walked out. For press assignments, I only shoot jpg. Unlike my Canon images, I never have to add PP sharpening. The OLY algorithm is very good. So is the WB. You can print very large, 5 feet (1.5m) wide and you still get very great results that people will amaze. I have done couple meters size and people amaze the sharpness and details. All what is required is that you nail the focus and you eliminate the camera motion blur. The 135 format 36Mpix sensor has negligent difference to 16Mpix 4/3 sensor. You need 64Mpix 135 sensor to really see a difference. And 135 format shooters have long time already learned that 10-12Mpix offers possibilities to make huge sharp prints, and you are not looking those from 50cm distance. And one o those is taken with Nikon D3s, a camera that as 12.1Mpix sensor! But you really can make large great looking prints from 4/3 sensor. You can even make over 4×3 meter size prints. Meaning that one pixel from current 16Mpix m4/3 camera is 1×1 millimeters by size. _one millimeter_. Now, you can go close proximity and look how detailed the photo is, or you can step back to see the whole frame filling one room in your house and yet get your mind blowed because it is sharp and very detailed HUGE print (if people would often see and get those size prints). The 135 format doesn’t have a edge in large prints, it doesn’t have edge in noise. It doesn’t have edge in the shallow depth of field. Instead 135 format has limits, as m4/3 cameras has 2 stop benefit receiving more light for same depth of field. And you want your subject to be in focus, you want your subjects in group photograph to have their faces in focus, you want your landscape to be in focus from foreground to background, you want your subject in macrophotography to be in focus, you don’t want out of focus photographs! A many m4/3 lens is sharper than 135 format lens already from from the wide open and 135 format lenses needs to be stopped down to f/4 or f/5.6 level to get that sharpness, And if you stop down m4/3 lens to f/4, it is almost twice as sharp at that point than 135 format lens. We have digital technology to minimize noise and grain, we can add contrast and sharpen details where needed high levels, we can easily even blur areas that are little bit defocus and get it look natural with good bokeh. Instead what we can’t do easily is to get out of focus subject or motion blurred subject back in the focus. With m4/3 we get 2 stops more light than 135 format gets, and that we can use to either faster shutter speed or lower ISO, or to both. We can lighten the subject further with our flashes, or we can get twice amount of cycles from our flash because we can use smaller power. But with m4/3 we have penalty as well, we need more often use ND filter as the sensor receives 2 stops more light, so we easily hit to fastest possible shutter speed limits or diffraction limit or we can’t get lower ISO. So we swap the light gathering power of 2 stops to requirement to carry ND filters with us to stop down 2-3 stops. There are people who hunts the “out of focus” photographs, where they want that their subject is perfectly sharp and background is perfectly blur. There is no difference in that between 135 and 4/3 formats. Same possibilities with both. Yet people like to say “But the m4/3 camera doesn’t blur so…”. Answer for that is just “learn to take photographs”. I agree with everything you said. FF definitely has a few drawbacks, perhaps the biggest one being size/weight. If this lens was maybe $1200 or less, it starts to make sense to buy it over a FF/Lens combo for the specific purpose of what this kind of lens is typically bought for…low light performance and bokeh. I would love to jump completely to APS-C or MFT, but I shoot indoor high school sports (crappy light of course), an FF just can’t be beat for the HI-ISO noise performance. You’re absolutely right. FF has a 2-stop advantage in low light situations…when there is movement involved, ie indoor sports. It’s why I still have my 200 f1.8L. On the other hand, noise doesn’t affect me as much as purists. The content of the image is always more important than the noise-quality. High speed 35 mm film was much noisier than today’s sensors. And the pictures told a thousand words. Again, FF is visibly better for large sized images. I’ve chosen to trade off a little bit of image quality for much better comfort and a smaller footprint. I still get the shot. Olympus has updated their firmware twice to accomodate the 40-150mm F2.8 lens. The newest firmware – version 2.2 was released to correct some focusing issues in version 2.1. I would like to know which version of the firmware was used in conducting this review. I own this lens, use it with my E-m1 and have not noticed focusing difficultites after updating the firmware to version 2.2. I used firmware version for 3 days and had some focusing difficulties. Wow, i like the grass-photo you made. EM-1 can kick the D810 out of my bag for travel. My lens arrived Friday and almost my first use of it on my E-M1 was available light shooting @1600iso in the Kunsthistorisches museum in Vienna – I was startled by how fast the low-light focussing is. Initial results support your “stellar” assessment, even without the latest 2.1 firmware.